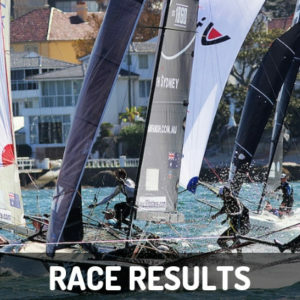 There was plenty of excitement on Sydney Harbour as the 18 Footers returned to racing for the second half of the season for the WC “Trappy” Duncan Trophy. The fleet battled in a fresh nor-easter for the first three-buoys race of the year. From the start gun, Coopers 62 Rag & Famish, skippered by Euan McNicol, and Smeg, Chris Nicholson, were in a close battle. The three top marks didn’t play a huge role in the first lap as majority of the fleet went round the blue mark. Coopers 62 Rag & Famish had the lead with Smeg right on their tail, Jono Whitty’s Line 7 was third. Smeg took the lead by the bottom with Coopers 62 Rag & Famish close behind. McNicol’s team has the speed upwind and would gain the lead upwind but Nicholson’s crew would gain by the bottom mark. This continued throughout the race with the lead coming down to the final run to the finish. Meanwhile Peroni, Nick Daly, was gaining on the leaders throughout the race. Smeg had all but sealed the victory at Shark Island while Coopers 62 Rag & Famish battled it out with Peroni. 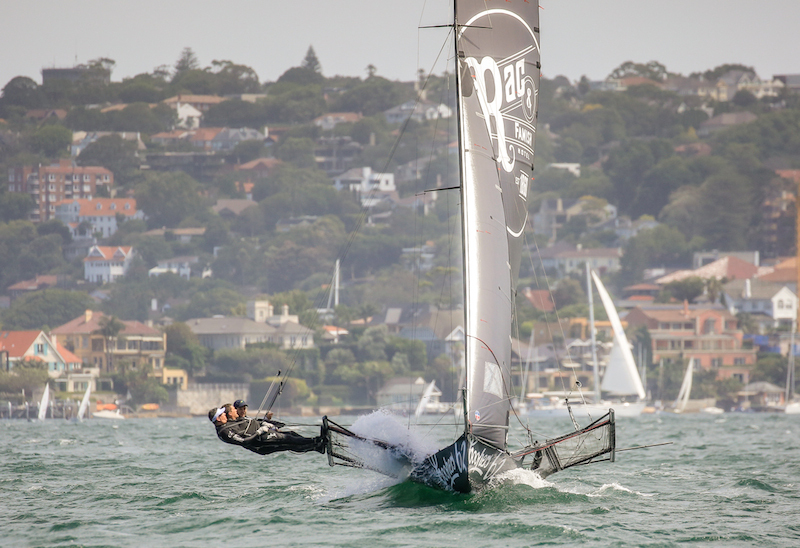 An unfortunate capsize to Daly’s team, saw McNicol’s crew cruise home to second behind Smeg. Peroni were able to recover in time to take third just ahead of Thurlow Fisher Lawyers, Michael Coxon. 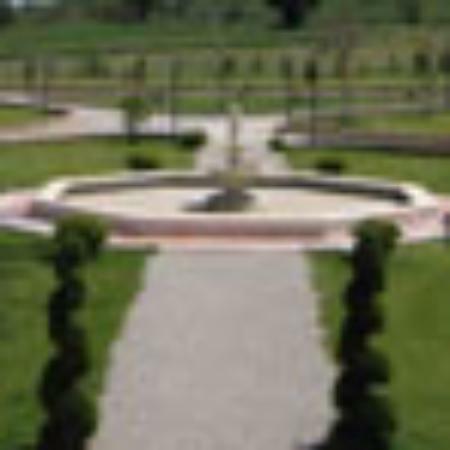 John Winning’s Yandoo finished fifth. 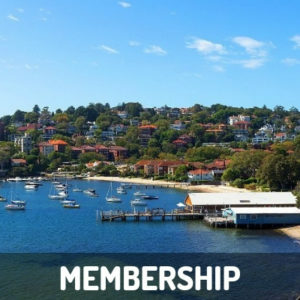 The 18 Footers Australian Championship kicks off next Sunday ahead of the JJ Giltinan Championship February 24 – March 5. 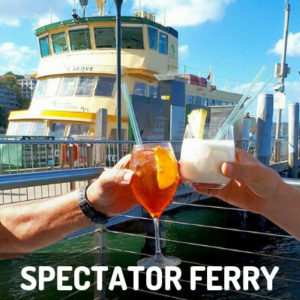 The regular spectator ferry will follow the fleet each Sunday and throughout the JJ Giltinan, there is no ferry on January 26, Australia Day race, and February 24, JJ Giltinan invitation race. 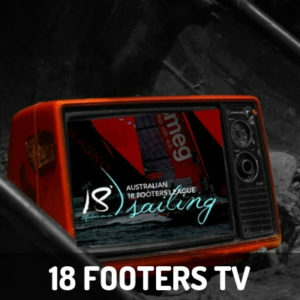 Follow the racing on our Facebook page – International 18ft Skiff, Twitter – @18skiff or Instagram @18skiff.